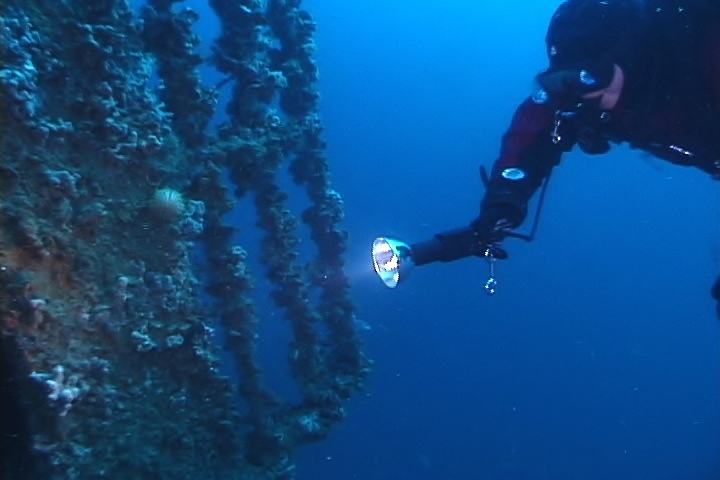 Rich Walker and I just got back a few days ago from a short break in Croatia, diving the wrecks of the Adriatic Sea. We’d had such a great time, I thought I’d share our experience. I would highly recommend a trip here if you haven’t visited the country before. Rich had taught several Global Underwater Explorers http://www.globalunderwaterexplorers.org/ classes from Krnica Dive Centre, which is on the south east coast of Istria. He was teaching a Tech 1 class the week prior, so we arranged a short holiday to go and explore some of the wrecks in the Tech range, which most of them in the area tend to be. So, I flew into Trieste (you can also catch flights to Pula which is a 25 minute drive or Zagreb which is much further, about 3-4 hours) and I was met by Jarko, who works for Maurizio Grbec, the boss man of Krnica dive – or the ‘Godfather’ as he’d been dubbed by Rich’s students. Travelling through this limestone heaven to go and dive in the sea seemed a bit wrong, but it brings its own challenges to someone like me who is generally scared of anything that might bite or sting or is made of metal! Jarko delivered me safely to the dive centre where we met the boss, who was dishing out cheese, red wine and beer. I was handed a glass and made to drink. Honestly! Rich was still out on the boat with his class and I began to worry what sort of state he’d find me in. I waited outside the apartment barely 2 minutes for my lift when a lady came trotting up the road, waving. She was asking if I needed a lift somewhere, or did I need any help or would I like to join her for coffee! She was the owner of the apartments and a delight to meet. I assured her Maurizio would be collecting me any moment and he did, but not before she had made sure I had everything I needed. This is the Croatian way – so friendly and hospitable. It’s hard to imagine that a country like this could be so damaged and war torn, not really that long ago. Back at the dive centre, Rich was debriefing his students and I was forced to drink more wine and a BBQ was on the go. Several GUE classes were either starting or ending and a good mix of Russian, German, Dutch, Hungarian and British all had a great time. Evenings like that really make you feel part of a global organisation. Our alarm went off way too early. 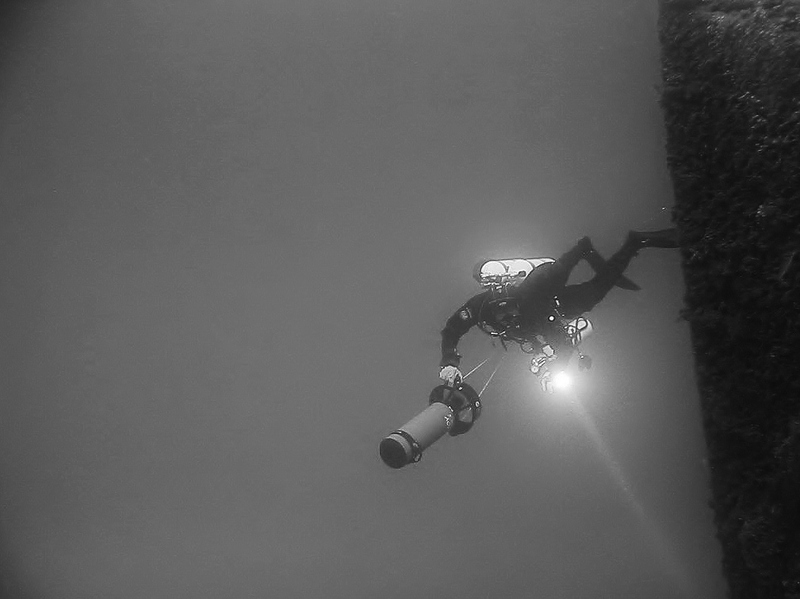 We were picked up from our apartment – all part of the service – and taken down to the dive centre where our cylinders were all ready with trimix 18/45 and 50% deco gas. Krnica is well versed in GUE and Maurizio is GUE Tech trained – everything just happens the way it is supposed to. 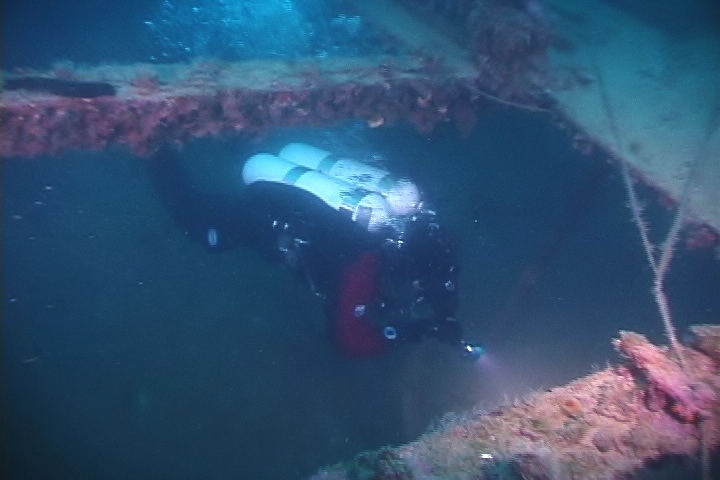 We loaded the van and were driven up to Plomin Luka, about 45 minutes away to dive the SS Lina. 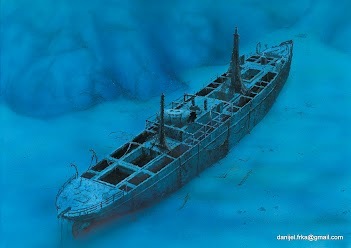 She sank close to Cres Island in 1912 and her bow is in 25m and the stern, 55m. The Lina is a 70m long steam ship and sank after hitting the island in thick fog. Two Hungarian GUE divers joined us on the boat and we were joined underwater by a bunch of Italians on another boat. The wreck though is big enough for everyone and with virtually no currents, we all ascended on the shot line which is on the bow. We came back in to Plomin Luka for lunch in a local café and set off in the afternoon for another wreck on our tick list – the SS Vis. She was a cargo steamer, sunk in 1946 by a mine. 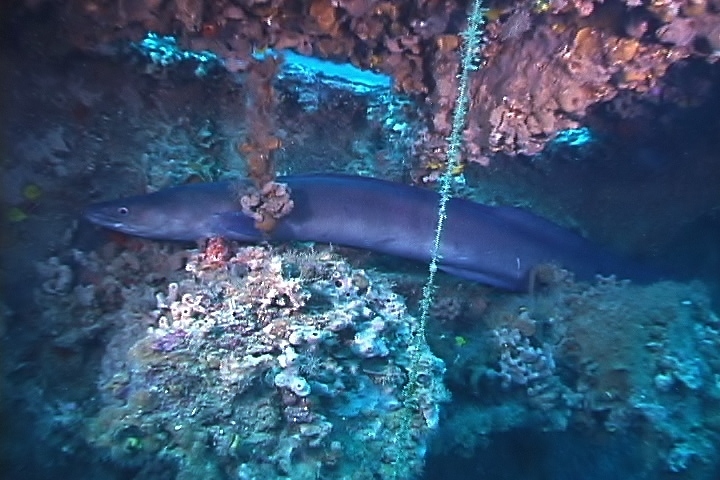 She sits bolt upright on the seabed and depths range from 45m to 60m. She is often surrounded by a spooky layer of ‘fog’ and is draped in fishing nets, which are now habitats to allsorts of sea life. She looks like she is covered in cobwebs and being a little deeper, is a slightly darker and spookier dive. The bow is extraordinarily pretty and I enjoyed spending time here. We headed back to mid-ships where we ascended the enormous and imposing funnel which rises out of the fog. The next morning was a later start as we were staying local and diving from Krnica. We chose to go and do the wreck of the MS Argo. She was a trawler but in a former life, a minesweeper and a submarine hunter and known as HMS Flint. She was transporting tomatoes from Venice to Rejika and, somewhat ironically, ran into a mine leftover from WWII and sank very quickly. 11 of the 12 crew members on board died. 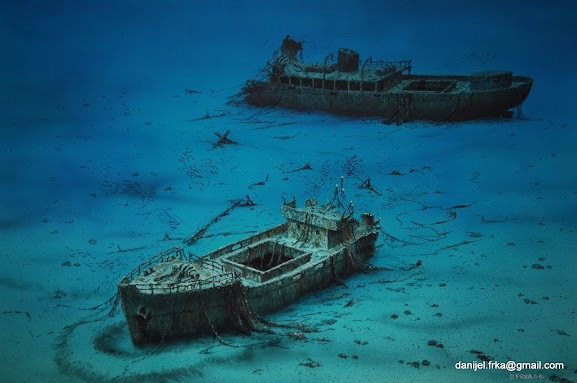 The ship now lies in 50m of water and is broken in two, both upright pieces about 50m apart. Being the lazy so ‘n so’s that we are, I eyed up the Suex scooters for this one so we could maximise our time on each part of the wreck and not waste any swimming between the two. Rich left the video camera behind but I took my small Canon G9 and shot some great video of Rich basically being a hooligan! Even instructors need to let their hair down sometimes! 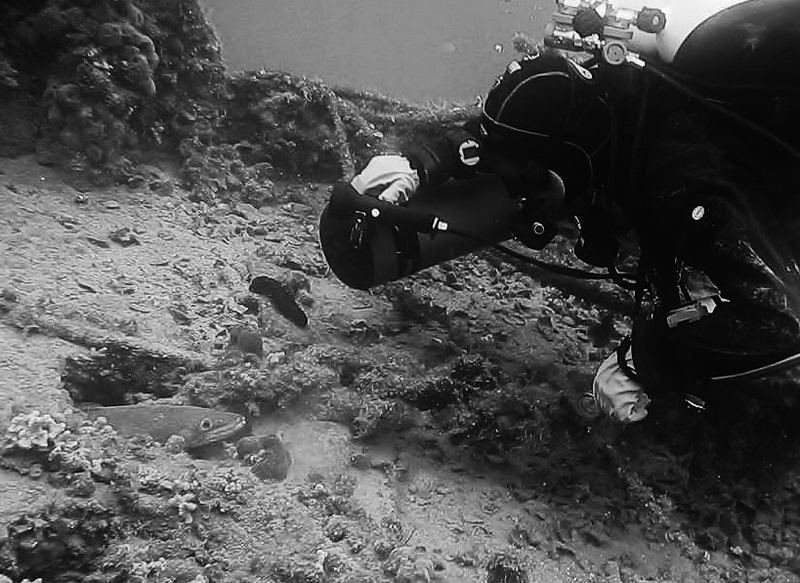 He began tormenting a conger in a hole – not the biggest I’ve ever seen but Maurizio assured us some of the biggest congers he’d ever seen live in the Argo. I changed the subject and we drove round the wreck, stopping to investigate various holes and holds along the way. The next day was not such an early start and we opted for a shallower dive as it was a bit windy to go the wrecks. So we grabbed the scooters and jumped in on the reef just around the corner from Krnica. To be honest, it wasn’t great. There wasn’t that much life, most of it small. The reef had been trawled heavily and was pretty barren at about 4-6m and there were lots of heavy fishing nets in the 20m range. It would be nice if this house reef could be adopted as Project Baseline to see if it can be recovered. We shot some video and after half an hour, surfaced to spot dolphins not that far from the boat. Cool! Last day and we were back on the wrecks. This time we opted for the Kalliopi, back up at Plomin Luka – which translates as “No toilets in sight – not even a bush!” or “Far too many fishermen about to even squat over the side”. We were drinking loads of water and this necessitated a pee every 10 minutes, involving walking across scrubby wasteland to sneak into the café. We of course planned to eat there for lunch. We planned the one ‘big’ dive for the last day. 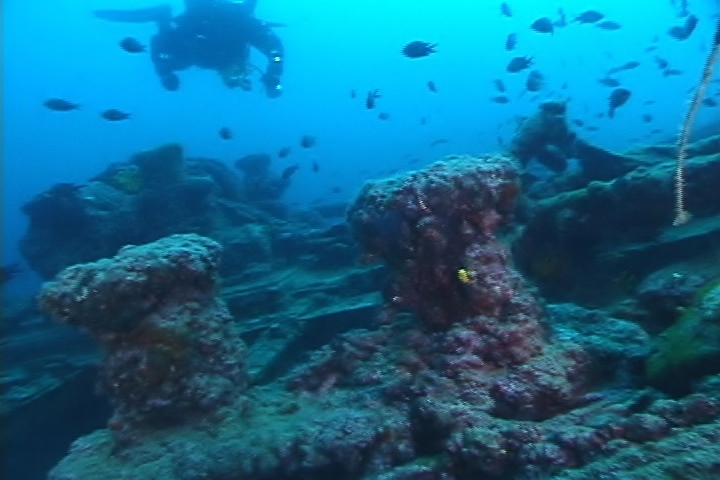 The Kalliopi is a zonking great big greek cargo steamer and liberty ship, now lying on her side in 3 pieces, the seabed at about 64m and the top of the wreck at about 43m. 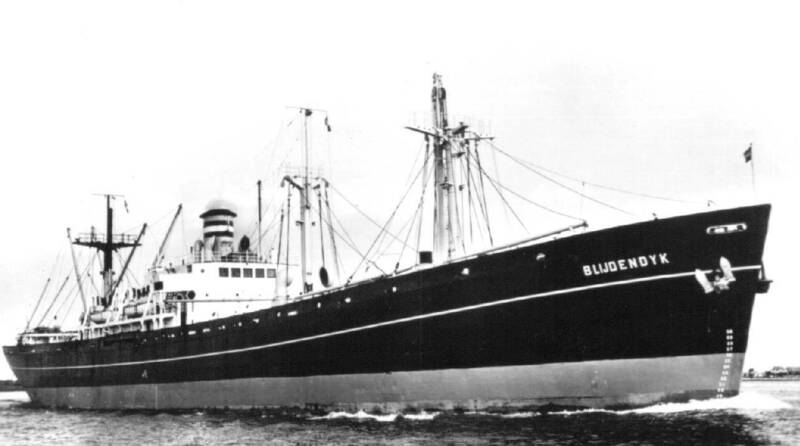 She was heading from South Carolina to Rijeka when she was mined in 1947. There are two lifeboats sitting on the seabed, not shown in the picture. We were the only attractions left in the area now, so we had the whole boat and enormous wreck to ourselves – we kitted up at our leisure and it became apparent that there were some moderate surface currents on this one. This made putting the shot in marginally more difficult and getting divers onto the shot even harder. I drifted straight past it and ended up with the indignity of being thrown a rope and getting towed by the boat back to the shot. Several minutes into the dive we found the bridge which is completely on its side and worked our way up it and found a conger snoozing under the railings. I had never seen a ‘whole one’ out and about and hastily headed off somewhere else. The topside of the wreck has more fish and is really pretty, with urchins everywhere and shoals hanging around. Rich folded up his camera and we made our ascent and deco, which was not entirely uneventful as my 50% freeflowed and I lost some gas before I could fix it. Back on the boat, more wild dolphins decided to swing by and a few gave us a jumping display. The café treated us to sardines, chips and beer for about a fiver each. It was a great way to end our holiday. Croatia has so much to offer and I would definitely like to get out there again for much longer next time. The weather in April is a mixed bag and we had jumpers on most of the time. It gets warmer from June onwards. There are no real currents and the sea is usually glass calm – only significant wind will cause it to be too lumpy to dive. The boats don’t have diver lifts – but you don’t need them. Just hand up your stages and climb about 5 rungs and you are home and dry. The boat won’t be rocking and rolling like it is back home. The sea is quite salty (you don’t say!) – more than at home, so we added an extra couple of kilos and were perfectly weighted at the end of each dive. Krnica are a ‘DIR’ outfit and tend to only deal with well trained divers. They will provide you with everything you need – all standardised, well looked after and good kit. The gas blending is spot on and you don’t need to worry about a thing – standard gasses just happen as, well, standard. There isn’t much to see in the recreational depth range, so if you only hold recreational (30m or shallower) certifications, you may get bored. I’d advise this as a Tech 1 or higher place to go. There is no deep air diving allowed and you would be expected to use trimix below 30m. Flights go from London to Pula, Zagreb and Trieste. My flight was £110 return with Ryanair but the baggage allowances are stingy. Hire what you can from Krnica – it’s just easier. Water temperature was 12 degrees in April and constant throughout the dives. There is a little café next to the dive centre which does coffee and croissants for breakfast and squid and chips every day for lunch – magic. There is a little supermarket and we had illusions of grandeur about shopping and cooking in. Forget it. It won’t happen! Take cash for restaurants and if you want to eat cheap, pizza is awesome. There is an amazing fish restaurant in Pula, which was only 35 euros per head for 3 courses and wine.